Click on this link to view scans of a sample of my “Healthcare Matters” newspaper and magazine articles. 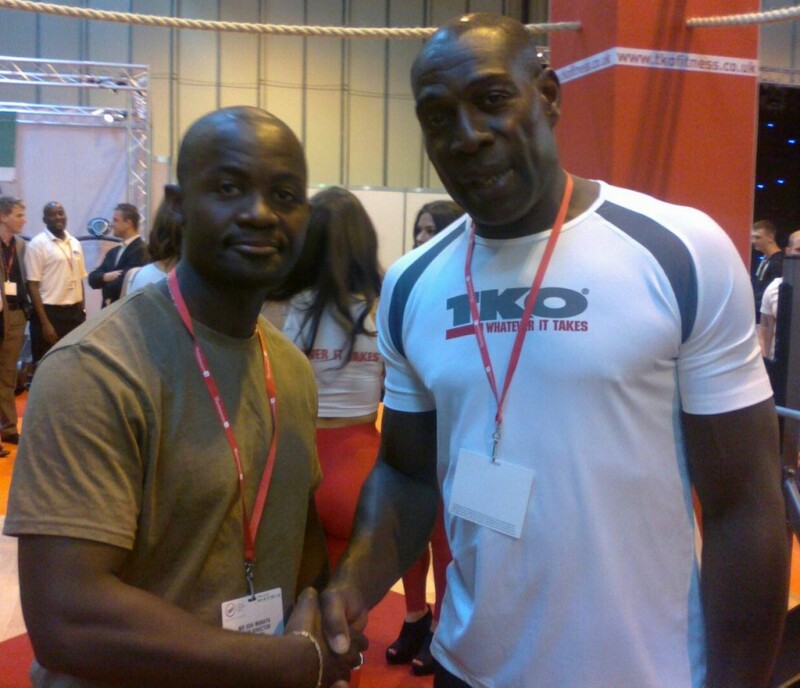 Click on this link to view scans of a sample of my Health & Fitness newspaper and magazine articles. #1. Starting from scratch (ElliptiGO training for beginners). #2. The Skinny Chef’s journey (what the first 4-weeks of ElliptiGO training tend to look like for most people – with key hints and tips for beginners who are looking to get into great shape & lose weight). #3. Emma Timmis rides across Australia to set a new Guinness World Record (for the longest journey on an elliptical bike, in one country)! #4. How to use the ElliptiGO to Lose Weight (the core fundamentals of using the ElliptiGO for weight loss and weight maintenance). #6. The basics of training with a heart rate monitor (core fundamentals for using heart rate monitors for ElliptiGO training). #7. GOing – with A Cycling Club (the benefits of riding an ElliptiGO with a cycling club). #8. 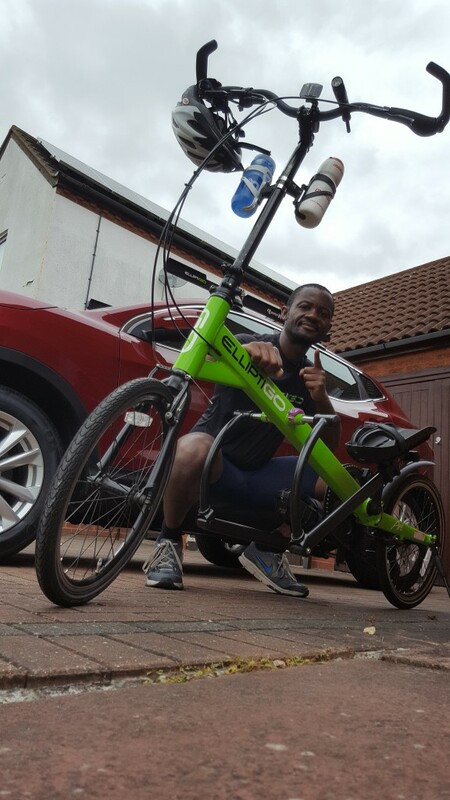 Fitting In Your ElliptiGO Training (meeting your training goals despite a busy personal schedule). #9. Combined ElliptiGO & Running Workouts (an option for getting 2 workouts in one)! #10. How to GO Faster (the age-old question all riders seem to want to crack – how do I get faster)? 14 Nov 14: Mental Training and Visualisation for Ultra-Endurance Events. 15 Nov 14: Tackling Sleep Deprivation in Ultra-Endurance Events. 18 Nov 14: Building Your Long-Distance Cycling Mileage. 28 Nov 14: The Highs and Lows of the Ultra-Endurance Diet. 20 Dec 14: Exploring the Great Indoors (Indoor Training for PBP 2015). 27 Jan 15: Follow Your Heart (Monitoring Your Heart Rate for PBP 2015 Training). 29 Jan 15: ElliptiGO Long Distance Riding Technique (Comfort and Efficiency). 1 March 15: 115-mile Training Ride Video (More Tips for Heart Rate Monitoring). 7 Nov 15: WHY Foods Have a Low or High GI Classification. 21 Nov 15: My Accidental 50% Increase In Upper Body Strength-Endurance. 15 October 2016: Long-Distance Cycling: Tips for Beginners. 8 April 2017: What to Carry on a Long Audax Ride. The Deloitte Ride Across Britain (June 2011) My Interview with George Watkins. Ride-24 (24 June 2012) My First 24-Hour Time Trial. Ride UK 24 (8 June 2013) My Second 24-Hour Time Trial. London-Edinburgh-London (28 Jul – 2 Aug, 2013) My 1,420km Audax Cycling Challenge. Milton Keynes to Brighton – and Back Again (24 May 2014) My first 24-Hour Fasted Ride. Mille Cymru (27-29 June 2014) My first 1,000km Audax Cycling Challenge. 400-Mile DIY Audax Challenge (16 August 2014) My first DIY 600km Audax Cycling Challenge. The Flatlands 600km Audax (13 September 2014) My first group Long-Distance Riding Challenge, which gave rise to the ElliptiGO Ultra-Endurance Team Project (see articles below). Dunwich Dynamo (4-5 July 2015) My 226-mile PBP 2015 ElliptiGO Team Group Training Ride. Paris-Brest-Paris (16-20 August, 2015) My 1,230km Audax Cycling Challenge. Poor Student 200km (2 January 2016) My Long-Distance Cycling Training Experiment! DIY 300km Audax Solo Challenge (20 February 2016) My DIY 300km Audax Cycling Challenge. DIY 400km Audax Solo Challenge (19 March 2016) My DIY 400km Audax Cycling Challenge. DIY 200km Audax Challenge on New ElliptiGO Arc Bike (3 April 2016) My first Long Ride on New ElliptiGO Arc bike. DIY 400km Audax Challenge on New ElliptiGO Arc Bike (1 May 2016) My second Long Ride on New ElliptiGO Arc Bike. 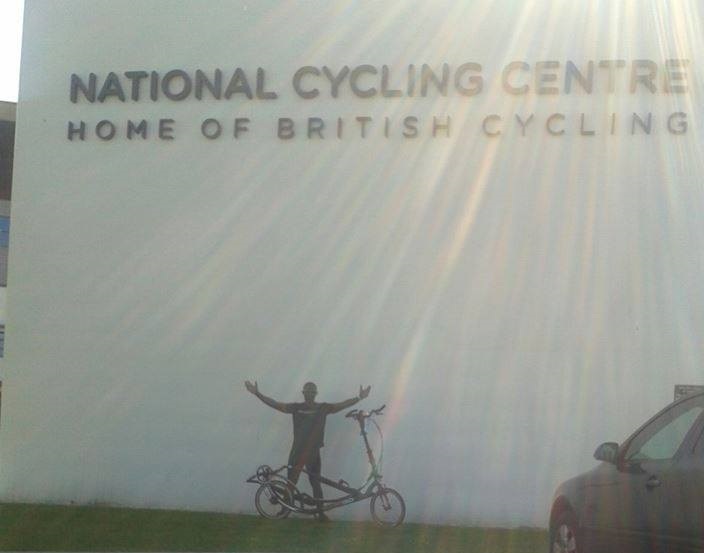 LEJOG – My 850-mile Ride Across Britain (27-31 May 2016) My Guinness World Record Attempt at the ElliptiGO ride Across Britain from Land’s End to John O’Groats. DIY 400km Audax Challenge (2 X 200km) on My New (customized) ElliptiGO 11R Bike (26-27 Nov 2016) My two-day, long-distance cycling adventure with Alan, Andy, Stu & Tim. DIY 225km Audax Challenge on New ElliptiGO Arc 24-gear Bike (19 March 2017) My first *Fasted* Long Ride on the New ElliptiGO Arc 24 bike. 220km Audax Team Challenge (7 May 2017) My 220km Audax Cycling Team Challenge with new members of the ElliptiGO Ultra-Endurance Team. 400km Audax Team Challenge (20 May 2017) My 400km Audax Cycling Team Challenge with old and new members of the ElliptiGO Ultra-Endurance Team. A new women’s 24-hour Elliptical Cycling World Record was set by Kitty Vernooij in this ride! 220km Audax Team Challenge (11 June 2017) My 220km Audax Cycling Team Challenge with old and new members of the ElliptiGO Ultra-Endurance Team. Everesting attempt on ElliptiGO bikes (12-13 August 2017) My attempt to ride the full height of Mt Everest on an ElliptiGO bike (with Alan). The Ride For Garai (LEJOGLE: 25 June – 5 July 2018) My Double End to End World Record ride, twice across Britain from Land’s End to John o’Groats & Back again! Here I will list a series of articles aimed at addressing training questions which I am often asked in my day to day work. If you have any questions you think I can help with – whether or not you currently own an ElliptiGO, be sure to ask. Q: I’d like to do a comparison ride to see how my pacing on the ElliptiGO bike compares to my pacing on a road bike? Q: What is the correct sequence of exercises in a training session and why is this important? Q. What are the major differences between the short-stride ElliptiGO Arc bike and the Long Stride ElliptiGO 3C, 8C & 11R bikes? How do I decide which one suits my needs best? A. Here is the transcript of an email conversation I had with a former cyclist who had asked this question because specific injuries had stopped him from riding mountain bikes. Q. I am thinking of getting into Audax Long-Distance Cycling, for both pleasure and exercise. Any tips? Q. How many miles (or for how long) should I ride the ElliptiGO bike, to match an equivalent running workout? Q. How does the New ElliptiGO Arc 24 (24-gear) compact-stride elliptical bike compare to the 8-speed ElliptiGO Arc or the long-stride 8C and 11R ElliptiGO Models? A. They say a picture is worth a thousand words, so I did a 14-minute video review with Stuart Blofeld! Watch it here! Q. What are the most important skills for learning to ride very long distances? A. In two words – NUTRITION & PACING. Read more details here. Q. I’m an Ironman, 48 years old – and do many events – but mainly long distance solo bike rides (1,200km in 5 days for example). I hate road running and I hate training for runs even more, but I need to. I also have no cruciate ligaments (rugby), so impact is not good. I really liked your YouTube films and obviously I really like the ElliptiGO. But the problem for me is the price of buying an ElliptiGO… I simply can’t afford the top-end ElliptiGO 11R. Can my goals, as outlined below, be achieved on the ElliptiGO 8C? A. Yes…. Read more here.